Jam anita. Jam nga Drenica. Ka tri vite e pak qe jetoj ne Gjermani. Me intrigoi emri i forumit. Shume terheqes. Sa te kem kohe do te lexoje gjithcka qe permban brenda. Shpresoj te jete edhe permbajtja si emri. Dhe shpresoj te kalojme mire bashke (une dhe forumi). Due to their remarkable military reputation, Albanians made their influence towards their neigbhours. Gerolymatos points out that "Albanians even set the fashion for Balkan warriors with their kilts. Eventually many Ottoman notables also adopted the Albanian look as did the Greek klephts and the armatoli. (The ethnicity of the so-called 'klephts' and 'armatoli' is not settled down properly. There are numerous evidences prvoding their Albanian origin. "The klepthes (the reputable robbers, as they esteemed themselves), of the mountains of Zante, and of the adjoining islands before enumerated, identified themselves with those of Albania, and are said, for many years, during the period of Venetian rule, to have taken common part with them. Notes and observations on the Ionian islands and Malta: with some ..., Volume 2 By John Davy, p. 127; Ivan Gavrilovich Golovin stated that Albanian klegtes (brigands) supported the Greeks, their co-religionists, in their war of independence, and distinguished themselves among the Palikares (see The Nations of Russia and Turkey and Their Destiny By Ivan Gavrilovich Golovin, p. 137). Still more, a young English colunteer who took part in the service of “Greek” cause equates Armatoli with Albanian. Sketches of modern Greece, by a young English volunteer in the ..., Volume 1, p. 406). Even the famous Pallikars “wore the Albanian dress, and were indeed very many of them of the Albanian race” (The customs and lore of modern Greece, Rennell Rodd, p. 224). The popularity of the costume was enhanced during the Greek war of liberation, since those who wore it could claim to fight for the Greek cause and draw pay from the various Greek governments. Today this Albanian fashion statement of the 18th c and 19th c is instantly recognized as the GREEK NATIONAL COSTUME and it’s proudly worn by the men guarding the tomb of the Unknown Soldier in front of the Greek Parliament. The peasantry under the command of Albanians leaders Kolokotronis, Botzaris and the other captains became the bulwark of the independece. (Mercersburg quarterly review, Volume 8, p. 353). Members of these bands were “principally recruited by Albanians, but Greeks were also enrolled”. (See, New Monthly magazine, volume 87). It was probably at this time that the Albanian dress made its decisive step towards being regarded as the national dress of Greece. As William St. Claire pointed out: “The government party, being largely Albanians themselves, favoured the dress and a version of it was commong among the Greek klephts and armatoli. Not it seemed that anyone who donned an Albanian dress could claim to be a soldier and share in the bonanza”. (That Greece might still be free, p. 232). Admiral." Kunduriot replied, "Go ahead and talk together in Albanian, for we are the ones who liberated Greece!" 'klephts' and 'armatoli' is not settled down properly. There are numerous evidences prvoding their Albanian origin. among the Palikares (see The Nations of Russia and Turkey and Their Destiny By Ivan Gavrilovich Golovin, p. 137). Still more, a young English colunteer who took part in the service of “Greek” cause equates Armatoli with Albanian. Greece, Rennell Rodd, p. 224). guarding the tomb of the Unknown Soldier in front of the Greek Parliament. bulwark of the independece. (Mercersburg quarterly review, Volume 8, p. 353). Greece might still be free, p. 232). himself a modern Greek is’. He further process on the reasons why the Fustannela has been abonded by the peasntry. costumes. The most curious and striking is the Albanian, which the Greeks have adopted as their national dress. chitons that were worn by men in Pericle's Athens. their country. This gives them an unusally strong national rallying point”. In the nationalist Greek narrative there is a tendency to belittle every contribution of the Albanians. are the makers of modern Greece. Owing to the pressure of other literary labors, this volume has been too rapidly prepared for the press, to allow me to add a special chapter on the Ethnology of Greece, as I had originally designed. I can only record my complete conviction of the truth of the views entertained by Fallmerayer, that the modern Greeks are a mongrel race, in which the Slavic element is predominant, and that the pure Hellenic blood is to be found only in a few localities. The southern part of the peninsula is occupied by Greece. The inhabitants, who call themselves Hellenes, never tire of boasting of their descent from the people of ancient Hellas; hence they consider themselves the leading nation of the Balkans. 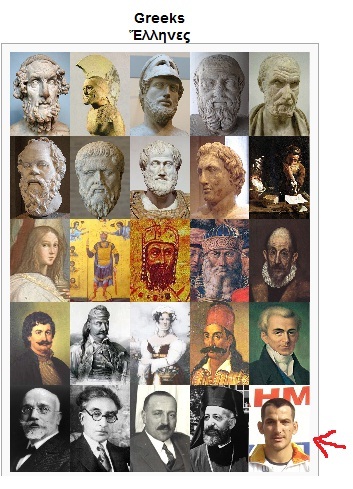 These "Greeks" are of mixed origin. Although speaking a language founded on ancient Greek, they are descendants mainly of Slavic tribes who invaded the country and intermarried with the native Hellenes and their slaves. The inhabitants of the islands near Greece are, however, in large part of pure Hellenic blood. The ancient Greeks were, after all, of very mixed ancestry; and there can be no doubt that the Byzantine Greeks,both before and after the Slav occupation, were even more heterogenous". 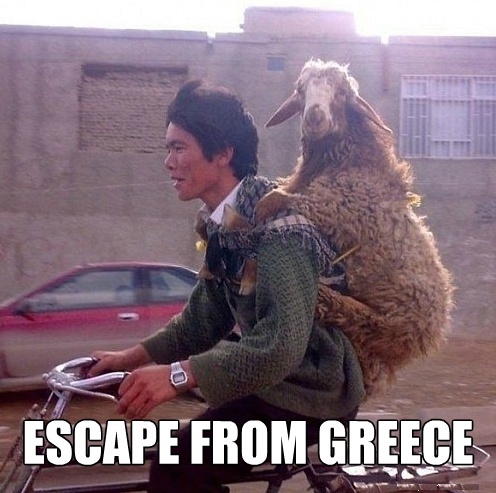 “It has sometimes been argued that the people living in Greece today are not descended from the Greeks of ancent times. A country dominated by Romans, Franks, and Turks in turn, invaded by Slavs and Albanians, Goths and Vandals, the perpetual battleground of Europeans and Asiatics, a country buried for centuries beneath the dead weight of conquest (...)Nobody except a fanatical nationalist would, I imagine, deny that the Greeks of today are a mixed race”. Much ink has been spilt over the origin of marvelous garment – the famous kilt known as ‘fustanella’. While it is hard to pinpoint it’s origin as long as primary sources are lacking, archaeological findings have cast some light to its early usage. It would not be superfluous to assume its pre-Greek roots. This is the likeliest point that has not been questioned so far. Yet a dazzling hypothesis traces its origin back to Illyrians – who used to live on the northern fringes of Greece. Ancient geographers unanimously deemed Ambracia as the most northern Greek city, implying that Illyrians were to be found in the vicinity . 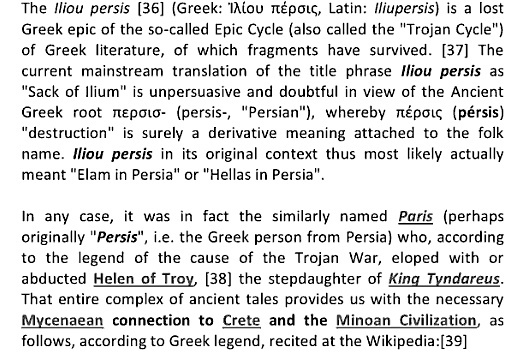 Linguistic analyses have made abundantly clear that Illyrians crept in the midst of Greece, as it has been ascertained by the presence of Illyrian toponyms . Some authors assiduously thought that Greeks culturally owed much to the Illyrians. More appropriately, the white kilt was Illyrian from the very inception as far as our knowledge goes . The Roman occupation of Greece which was followed up by the invasions of marauding Goths, Huns and Avars wrecked the Greek civilization to a great extent . As a matter of fact, Greek culture was greatly adulterated due to the infusion of foreign elements. In the same vein, Christianism eradicated ancient Greek monuments as well as traditions which were perceived as ‘pagan’ . Various theories have been proposed in regard with the Slavic impact on Greece . While the Fallmerayer’s theory is generally disavowed, it seems evident that certain parts of Greece were engulfed by Slavic settlers . With the drift of time, they were profoundly Hellenized but some of their vestiges were left for a long time . Ancient Greeks who had numerically shrunken from invasions, wars and other calamities were confined on the Aegean islands and Asia Minor. The emergence of Byzantine Empire favored considerably Greek language, which become officialised even at the religious level. The rest of Balkans shared the same fate, with the exception of some Illyrian tribes who kept intact their identity by retaining to the remote mountains of modern Albania . Numerous scholars have soundly argued that modern Albanians are by and large the descendants of Illyrians . This view is further bolstered by the account of Claudi Ptolemy who mentioned expressively Albanoi (as one of the Illyrian tribes), locating their seats in the nearby of Durrës (ancient Dyrrachium). The kernel of that territory resides on the territory of Albania, which make it likely the possibility that Illyrians never fully succumbed to Romanization or Slavization. As Illyrian culture did not perish, Albanians continued to wear the ancient skirt or fustanella, which is testified by unaccountable descriptions, sources and other evidences. The most tangible proof is the attestation of fustanella on Illyrian sculptures that have been unearthed by archaeologists in Albania and Slovenia . There is little room to doubt that Albanians retained this old garment down to XXth century. F.N argued persuasively that Fustanella was spread as far as Scotland, presumably by the Illyrian soldiers who were employed on Roman legions. At the first glimpse, the kilt of Scots is the same as that of Albanians. Lord Byron was the first who noticed that similarity . The fanciful claim that fustanella was a Byzantine garment falls short of convincing. That argument relies on the untenable assumption that southern Albanians loaned it from the much advanced Greeks during Byzantine period. However, such a claim has no ground to stand on for even the northern Albanians wore the white fustanella. Suffice is to say that fustanella among the inhabitants of Macedonia is known as ‘toska’ possibly because the costume was originally introduced in the country by the Albanians of Toskëria. Rennal Rodd has devised a hypothesis that derives the fustanella origin back to the tunic skirt of the Roman solider, but he further refrained from citing any reliable source . The presence of Albanians in Greece was well-established through centuries. As our intention is not to elaborate in depth that perplexed question, we should note that their major contribution on Revolutionary Wars prompted the independence of Greece . The islands of Spetzai, Hydra and Poros were inhabited almost exclusively by people of Albanian blood . In the struggle for independence they contributed such national figures as Miaulis, Djavela, Marko Bochari and the female naval commander Laskarina Bubulina . Albanian was spoken by the crews of navy and guerrilla fighting groups in various parts of Greece . 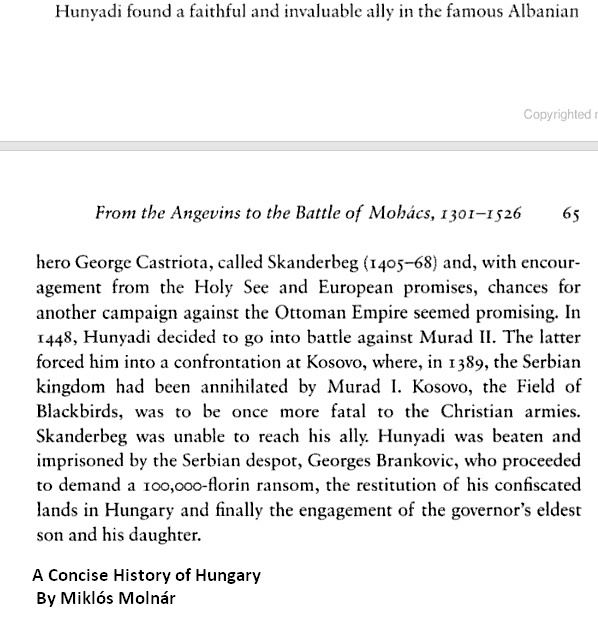 The peasantry under the command of “Albanians leaders Kolokotronis, Botzaris and the other captains became the bulwark of the independence” . The Tyrolean historian, Jakob Philipp Fallmerayer on one occassion has confidently stated, “If one calls this country a new Albania, wrote the same author, one gives it its real name”. Due to their remarkable military reputation, Albanians made their influence towards their neighbors. The warlike affinity of Albanians has been generally admired by the Europeans. “The Albanians plowed with the spear”, went a saying . The renowned Greek historian, Andre Gerolymatos points out that Albanians even set the fashion for Balkan warriors with their kilts . Eventually many Ottoman notables also adopted the Albanian look as did the klephts and the armatoli . The adoption of fustanella as the national garment of Greece has been attributed to that period by many. Gerolymatos argues persuasively that “by the early 19th century the guerrilla warfare of klephts was common throughout the Balkans, it had its roots in Albania” . The popularity of the costume was enhanced during the Greek war of liberation. It was probably at this time that the Albanian dress made its decisive step towards being regarded as the national dress of Greece. As William St. Claire pointed out: “The government party, being largely Albanians themselves, favoured the dress and a version of it was commong among the Greek klephts and armatoli. Not it seemed that anyone who donned an Albanian dress could claim to be a soldier and share in the bonanza” . Warrner also concluded the since the revolution “the Albanian has been adopted as the Grecian costume, in default of anything more characteristic, and perhaps because it would puzzle one to say what race the person calling himself a modern Greek is’. He further investigates on the reasons why the Fustannela has been abandoned by the peasantry . To put it simpler, Greece adopted the white pleated kilt “for her national guard to commemorate the part Albanians played in freeing Greece’ . Since then Albanian fashion is deceitfully deemed as Greek costume. It is even worn by the men guarding the tomb of the Unknown Soldier in front of the Greek Parliament. Considering the fact that in Greek nationalist narrative exist an unwillingness to recognize the Albanian pedigree of many ‘national’ heroes, many historians have made some futile attempts to conceal the origin of fustanella. As Sfakidas justly observed, in Greece many paradoxes shroud the history of the national dress. He further examines the Albanian origin of that white kilt, something that does not emerge in the contemporary narratives of ‘Greekness’. He holds that long before it came to symbolize Greek independence from the Ottoman Turks, the Albanian kilt, or fustanella, was common dress for men in the thirteenth century when it was worn by the Dalmatians, one of the Illyrian progenitors of the Albanians. The historical and etymological roots of the fustanella, however, date back to the days of Rome, when the Albanian or Illyrian kilt became the original pattern for Roman military dress. The outlandish hypothesis that ought to link fustanella with ancient Greeks is dismantled. Sfakidas points out: “No ancient Greek garments have survived to confirm that the origins of the fustanella have survived to confirm that the origins of the fustanella are indeed in the pleated garments or chitons that were worn by men in Pericle’s Athens . Almost every subject related to Greeks has always raged emotions rather than rationalism. The philhellenes of America, Britain and Western Europe have long called for a free Greek state in a romantic passionate attempt to bring to life the Hellenic culture of the past. As Glenny note: “Little did any of them know of what extreme changes had taken place in the region of what was once the Greek City States. ‘Naturally, many travelers and philhellenes were shocked at the Greeks’ lack of sophistication, and the absence of a physical resemblance to the Hellenes of their classical imagination” . It’s becoming increasingly clear that ‘Greek purity’ is product of sheer fantasy . Bearing in mind the complexity of Byzantine Empire through centuries, ethnic mixing occurred during all the time. A modern historian believes not without justice that Byzantine Greeks were more heterogeneous than ancient Greeks . 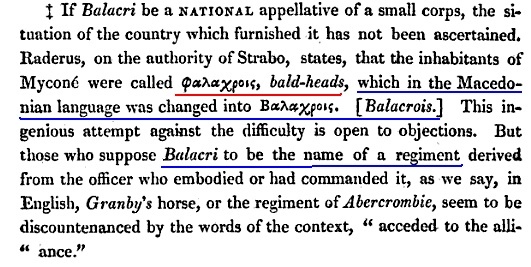 It should be noted that theory that linked modern Greeks with Slavs prevailed among 19th century scholars. It was assessed as feasible that Slavization ceased because of restoration of Byzantine church, who promoted Greek language through liturgy . The glory of being offspring of ancient Greeks provided to contemporary Greeks “an unusually strong national rallying point” as McKinley would call it . Whatever the scale of various migrations was, it appears evident that their culture was greatly adulterated. One may note in passing that Greek dress underwent a strong Asiatic influence. As George Rolleston eyewitnessed: “The fustanella, or multifold petticoat of the Albanian is not worn by the Anatolian Greek, though it is becoming the national dress of the Hellenic” . The origin of the Albanians seems to be settled beyond any doubt. Nearly all scholars associate them as being related to the oldest ethnic stock in Europe, along with the Basques . It was probably the consistence of Albanian culture which made it possible to retain remarkably ancient customs, including the white-kilt or fustanella. While the ardent Phil-Hellen, George Finlay was visiting Athens, he found the Albanian costume as the most striking. He adds that even the proudest Osmanlees in Macedonia and Greece dressed their children in the white kilt of Albanians Tosks . Some decades ago, Coppée would observe that the traditional Albanian white kilt is as common in the streets of Athens as the private soldier’s uniform in London . The identification of Albanians living abroad was made possible by their snowy dress. The memories of Maximillian are a case in point. According to him: “The world only hears of well-made, handsome Albanians who in the southern seaports of Europe saunter from coffee-house to cofee-house, clad in their fustanella and fez, and whose picturesque dress in masquarades gives a certain distinction even to the most insignificant dandy” . The attempts to downplay the Albanian past might have reduced the usage of fustanella in Greece . J. Bury, “Notes and Documents” in English Historical Review (1900) XV (LVIII): 288-291. The archeological findings on Illyrian seats have yielded some sculptures showing Illyrian with a kind of fustanella. More specifically, some sculptures unearthed in modern Durrës indicate that Illyrians wore fustanella. John Cuthbert Lawson holds that ‘the Slavonic supremacy lasted at least until the end of tenth century; that thereafter a gradual fusion of the remnants of the Greek population with their conquerors began, but proceeded so slowly that at the beginning of the thirteenth century the ‘franks’, as the warriors of Western Christendom were popularly called, found Slavonic tribes in Elis and Laconia quite detached from the rest of population, acknowledging indeed the supremacy of the Byzantine government, but still employinh their own language and their own laws; and finally that the amalgamation of the two races was not complete even by the middle of the fifteenth century, fro the Turks at their conquest of Greece found several tribes of the Peloponnese, especially in the neighborhood of Mount Taygetus, still speaking a Slavonic tongue. 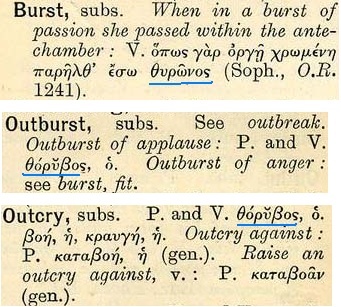 (Modern Greek folklore and ancient Greek religion: A study in survivals, p. 26). Jack Davis, Susan Alcock, Sandy Pylos: An archaeological history from Nestor to Navarino, p. 215: What does remain from this period, however, are changes in the names of sites. “Avarino”, mentioned in De thematibus as the new name for Messenian Pylos, is the Slavic name for ‘place of maples’. In addition, nearby Sklavohori (Village of Slavs) indicates the settlement of a non-indigeneous, non-Greek population. 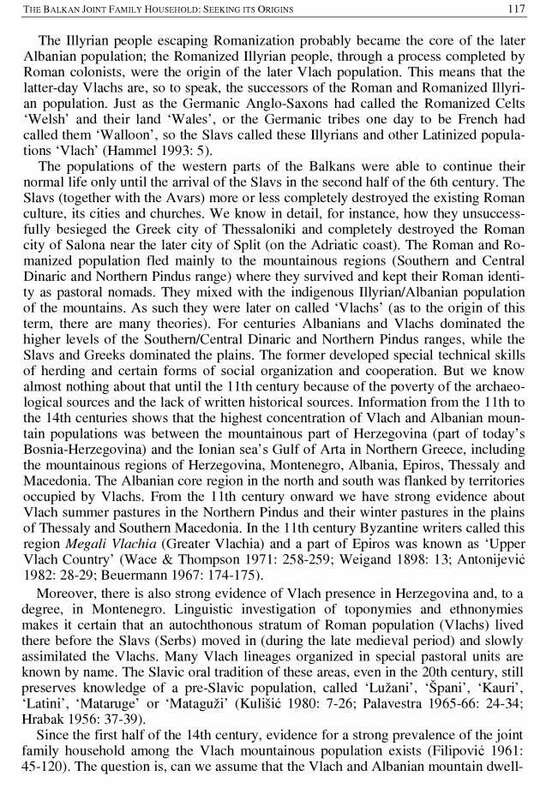 Michael Grant, Rachel Kitzinger , Civilization of the ancient Mediterranean: Greece and Rome: Volume 1, (1988), p. 203: “It is clear at least that Albanian descends from an ancient language of the Balkans, for it contains loanwords from…”. Nagendra Kr Singh, Abdul Mabud Khan, Encyclopaedia of the world Muslims: tribes, castes and communities: Volume 1,. p. 38: “The Albanian people are thought to be derived predominantly from Illyrians who inhabited the Dinaric region in classical and post-classical times”. Richard Horsley Osborne, East-Central Europe: an introductory geography, (1967), p. 24: “Albanian is apparently descended from the ancient Illyrian tongue”. Rennell Rodd, The customs and lore of Modern Greece, p.23 : “Their costume is notoriously picturesque. The Southern Albanians, for the most part, wear the white kilt or fustanella, embroidered jacked and gaiters, and showes with upturned pointed toes, a dress which was adopted throughout Greece at the time of the revolution as the national costume, and which replaced the loose blue or brown kniskerboxkers still retained by the islanders. A picturesque but fanciful legend records that this dress derives its origin from the tunic skirt of the Roman soldier, a colony of Praetorian guards having been established here in the time of Septimus Severus”. 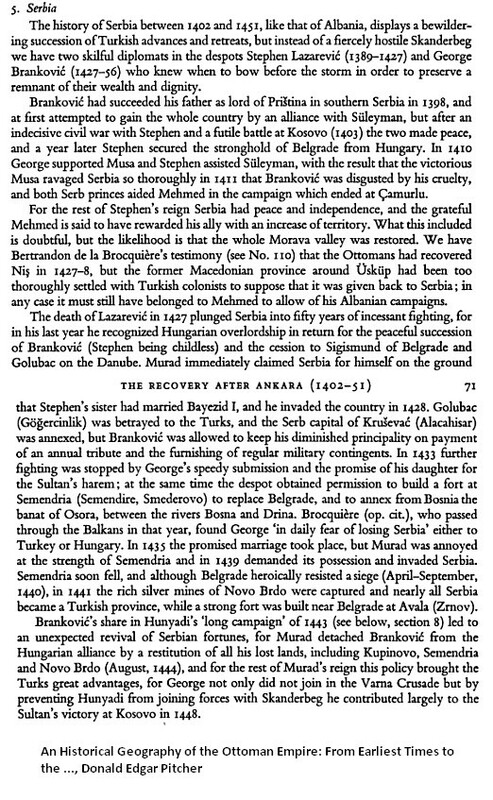 George Finlay, History of the Greek Revolution: Volume 1, (Edinburgh and London: W. Blackwood & Sons, 1861), p.47: “The history of the Greek Revolution would often be obscure unless the importance of the Albanian element which pervaded military society in the Othoman empire is fully appreciated”. On the same vein, William Milligan Sloane asserts: “in a high sense they are the makers of modern Greece” (The Balkans: a laboratory of history (The Abingdon press, 1920), p. 40. Ducket Ferriman, East and west of Hellespont: memories of fifty years (J.Cape, Itd., 1926), p.116: It is perhaps not generally known that one-fifth of the area of modern Greece is peopled by Toskh Albanians. The islands of Salamis, Hydra and Spetzai, the nursery and headquarters of the Greek Navy, are wholly Albanian, and there are patches of homogeneous Albanian population in Boeotia, Argolis and Attica. This is notably the case in Liopessi, Spata and other villages at the back of Hymettus. Half Euboea is Albanian. Up to 1835, there was a Tribunal at Athens in which business was conducted in Shkipetar, owing to the prevalence of that tongue. On another occasion Admiral Kunduriot learned that his ship’s officers had forbidden the seamen to speak Albanian among themselves. The admiral summoned the seamen on deck and asked them, “A kuvëndoni Shqip, more?” (O you, do you talk together in Albanian?). The sailors looked at one another, hardly knowing what to reply. One of them took courage, and answered, “We do talk together just a little, Admiral.” Kunduriot replied, “Go ahead and talk together in Albanian, for we are the ones who liberated Greece!” (Dituria January 1927, 86). 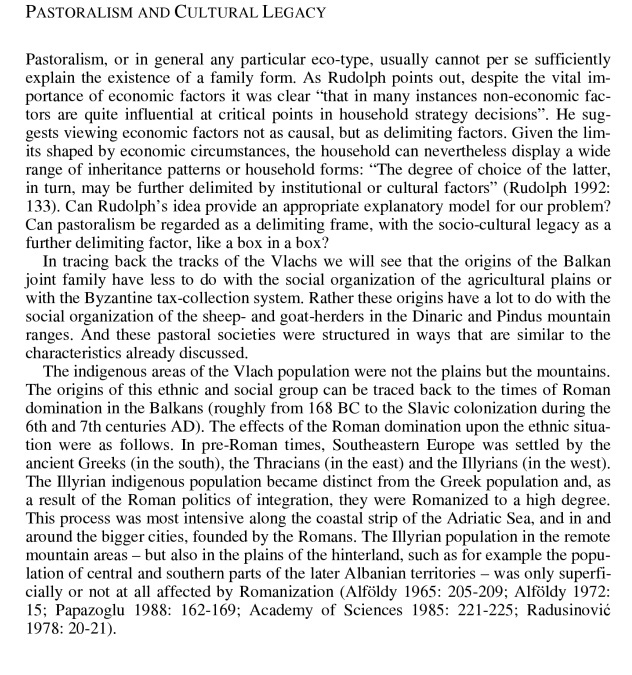 René Ristelhueber, A History of the Balkan Peoples (Sherman David Spector ed. and trans. 1971), p. 174. The ethnicity of the so-called ‘klephts’ and ‘armatoli’ is not settled down properly. There are numerous evidences providing their Albanian origin. Many of them identified themselves as related to that of Albania. Jihn Davy, Notes and observations on the Ionian Islands and Malta: with some remarks on Constantinople and Turkey and on the system of quarantine (Cambridge University Press, Jan 2, 2012), p. 127: “The klepthes (the reputable robbers, as they esteemed themselves), of the mountains of Zante, and of the adjoining islands before enumerated, identified themselves with those of Albania, and are said, for many years, during the period of Venetian rule, to have taken common part with them”. Ivan Gavrilovich Golovin stated that Albanian kleftes (brigands) supported the Greeks, their co-religionists, in their war of independence, and distinguished themselves among the Palikares (The Nations of Russia and Turkey and Their Destiny, Elibron Classics, 2005, p. 137). Still more, a young English volunteer who took part in the service of “Greek” cause equates Armatoli with Albanian. Sketches of modern Greece, by a young English volunteer in the Greek service, Volume 1, p. 406). Even the famous Pallikars “wore the Albanian dress, and were indeed very many of them of the Albanian race” (The customs and lore of modern Greece, Rennell Rodd, 1892 p. 224). According to him “fustannela is nearly discarded; it is both incovenient and costly; to make on of the proper fullness requires forty yards of cotton cloth. (In the levand, travels in Palestine, Lebanon and Syria, p. 500). Blackwood’s magazine: volume 246, 1939, p.
Dilys Powell, Remember Greece (Hodder and Stoughton, 1941), p. 178: “It has sometimes been argued that the people living in Greece today are not descended from the Greeks of ancent times. A country dominated by Romans, Franks, and Turks in turn, invaded by Slavs and Albanians, Goths and Vandals, the perpetual battleground of Europeans and Asiatics, a country buried for centuries beneath the dead weight of conquest (…)Nobody except a fanatical nationalist would, I imagine, deny that the Greeks of today are a mixed race”. 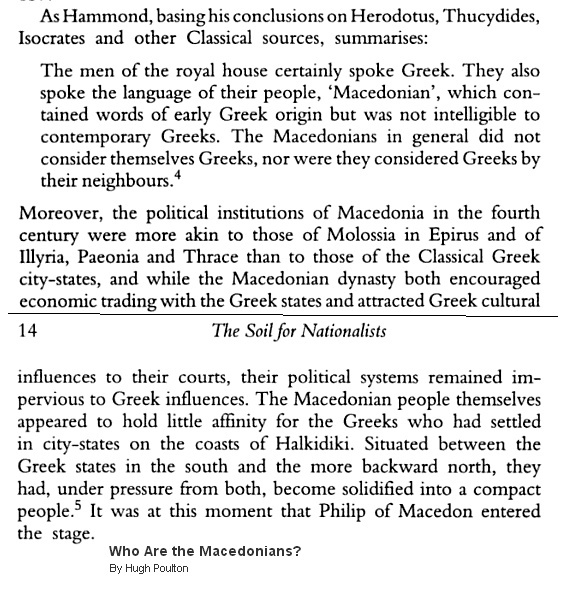 Donald MacGillivray Nicol, Studies in late Byzantine history and prosopography (Reprints, 1986), p. 228: “The ancient Greeks were, after all, of very mixed ancestry; and there can be no doubt that the Byzantine Greeks, both before and after the Slav occupation, were even more heterogenous”.